!!! Please note that we are in the process of getting ready the website for full !!! If you can't do acc with the browser you're running now. try to open Panzera in the internet expoles instead. thanks! by .... working with it but as long as ... Admin Panzera. The page works great for everyone again! Make trainers give stamina and use soul points. This will help cut down on trainer bots. Not everyone has 50m to buy stamina refill. for you who have asked for it, donate items have come now. 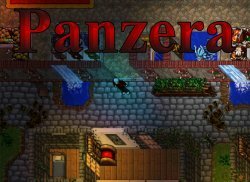 Panzera? what should more be added to the server?